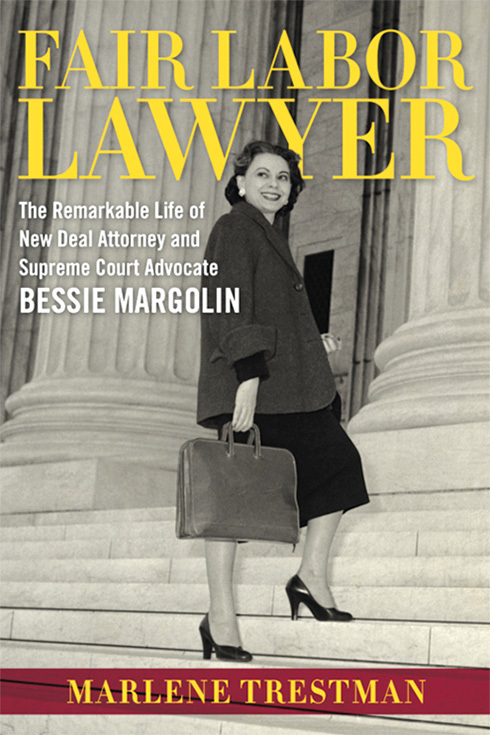 The upcoming book “Fair Labor Lawyer: The Remarkable Life of New Deal Attorney and Supreme Court Advocate Bessie Margolin” tells the story of one of the New Orleans Jewish Children’s Home’s most prominent alumni. For biographer Marlene Trestman, Margolin’s origins echo her own story. Trestman will be honored at the Jewish Children’s Regional Service gala on March 5, along with the Oscar J. Tolmas Charitable Trust. JCRS is the successor agency to the Jewish Children’s Home, which operated from 1856 to 1946. After her mother died, Margolin wound up at the Jewish Children’s Home, where she lived from 1913 to 1925, until she graduated from Isidore Newman School. The school had originally been established to educate residents of the home. After her undergraduate and graduate degrees at Tulane, she received her doctorate in law from Yale in 1933. Margolin was a U.S. Department of Labor attorney from 1939 to 1972, a champion of wage and hour rights for workers, who argued numerous cases before the U.S. Supreme Court. 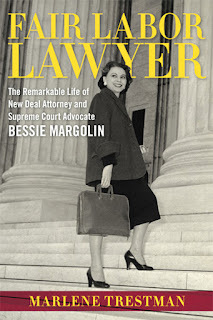 She was instrumental in many provisions of the Fair Labor Standards Act, drafted the original regulations under which the post-World War II Nuremberg trials took place, and was an attorney for the Tennessee Valley Authority. She argued 27 cases before the Supreme Court, winning 25. She also was a co-founder of the National Organization for Women. Two years after Margolin retired, Trestman graduated from Isidore Newman. As Trestman set off for Goucher College in Baltimore in 1974, a school counselor suggested she meet fellow alumna Margolin. Trestman grew up in New Orleans. She and her brother were orphaned when she was 11, and they wound up as wards of the state. The home had been closed for over two decades, but JCRS “became our legal guardians and supervised our foster care.” The agency also invoked Isidore Newman’s history with the home’s orphans in getting her admitted. “It was life-changing for me,” she said. In 1993, Trestman worked on a speech for Isidore Newman’s 90th birthday, and found nobody had done a biography of Margolin. After Margolin died in 1996, Trestman was often asked to give talks about Margolin, so each time she would do a little more research. Still, she approached archival and historical groups, asking if they would write a biography. Nobody had the staff to do it, but they expressed interest if Trestman would. She finally realized “nobody was going to write about her except me,” so she started on the book. A huge leap was when she was able to locate Margolin’s papers and received exclusive accesss. As Margolin never had children, the papers wound up with the son of Margolin’s sister, who had a different last name by marriage. She started doing interviews in 2005, adding a day or two to business trips, with the idea of having something in conjunction with the JCRS 150th anniversary in the fall of 2005. Katrina wrecked the anniversary plans, but she continued with the project. “I was thirsty to learn everything I could about Bessie’s 12 years in the orphanage,” she said. There wasn’t a lot of material about what life was like, so she started digging through the entire history. She included a lot of it in an early draft of the biography, but was told to include only the parts relevant to Margolin’s experiences. “I had so much invested and was so emotionally captivated about the history of the home” that she is now working on that book. She received a fellowship from the American Jewish Archives and gave a presentation at last year’s Southern Jewish Historical Society conference. She wants anyone with information about the home, or descendants of alumni from the home, to contact her. She will have a talk and book signing at Isidore Newman School on March 6 at 11 a.m., and at Octavia Books in New Orleans on March 9 at 6 p.m. In addition to Trestman, JCRS will be honoring the Oscar J. Tolmas Charitable Trust at the Jewish Roots of Celebration gala on March 5. The event at the Hyatt Regency in New Orleans will include a cocktail reception followed by a dinner created by some of New Orleans’ most celebrated and talented Jewish chefs, including James Beard Award winner Alon Shaya, Daniel Esses of Three Muses, David Slater of Emeril, Nathanial Zimet of Boucherie and a special dessert from Commander’s Palace. The silent auction will include “once in a lifetime” trips, such as San Francisco wine country, Israel, Paris and the wine regions of France, the castles of Ireland, sailing the Inside Passage of Alaska, art and cooking in Tuscany and Florence, the Greek islands, golfing at St. Andrews in Scotland, Cape Town and the wild animal preserves of South Africa, and tropical Costa Rica. There will also be local “staycation” packages at hotels including the Windsor Court, Loews and Westin Canal Place. Dinner packages include Ruth’s Chris, The Grill Room, Café Adelaide and more. In April, the Tolmas Trust underwrote the JCRS Chanukah gift program, which provides gifts to Jewish children in need in the agency’s seven-state region. The program, which just completed its 18th year, serves about 200 Jewish minors and residents of state institutions. The Trust also established named funds for the JCRS Special Needs and Education programs. Tickets to the gala are $200, with numerous Patron levels available. Reservations can be made here.